Recycle to help save our Earth! 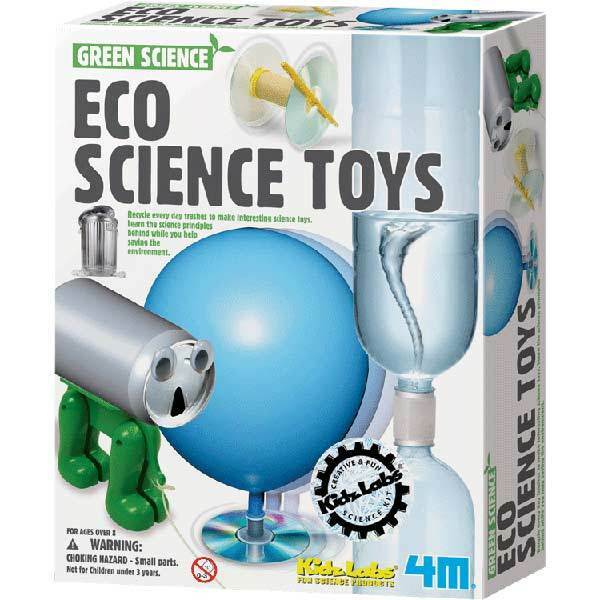 This Eco Science Toys kit will see your child making fantastic science toys out of everyday waste! Make a speed racer with old CDs, a tornado inside an empty plastic bottle, or a gravity-powered walking robot with a drinks can. And that's not all! This innovative and eco-friendly kit comes with all the parts you need to create a CD Racer, Gravity Robot, Hover Disc, Cartesian Diver, Shopping Bag Parachute and Tornado Tube. 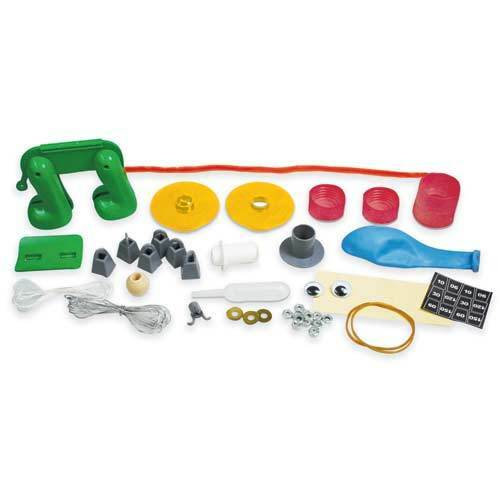 All you'll need is some recyclable materials. Complete with a 12-page colour instruction booklet, your child will learn scientific principles while recycling, and best of allƒ?Ý IT'S FUN! You need to recycle 1 drink can, 3 plastic bottles, 3 CDs, 2 paper cups, 1 shopping bag and 1 toilet roll to complete the featured products.